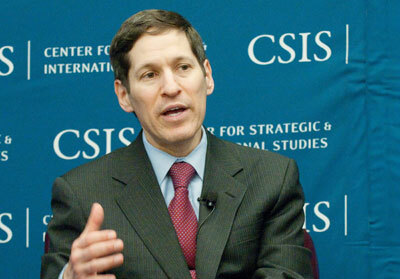 Dr. Thomas Frieden, Director of the Centers for Disease Control and Prevention (CDC), came to CSIS yesterday to discuss the new CDC Center for Global Health and the role it will play in a long-term U.S. strategy like the one laid out by the CSIS Commission on Smart Global Health Policy. The talk also highlighted the growing importance of chronic disease in the developing world. Countries that receive assistance from the United States, he argued, rightly expect a plan that goes beyond infectious disease. He credited political leadership for Uruguay’s tobacco control program, which he held up as the world’s best. In his discussion of tobacco, he called for wider implementation of the World Health Organization MPOWER package of policies, including smoke-free workplaces, hard-hitting warnings, restrictions on advertising, and substantial increases in tobacco taxation. Citing the Commission’s report, Dr. Frieden made a number of arguments for greater U.S. involvement in global health. If H1N1 had been discovered in Mexico two months earlier, he said, the vaccine would have been available in the United States before the disease peaked—saving thousands of lives. He described the “smart power” and diplomatic benefits of greater health investment abroad.